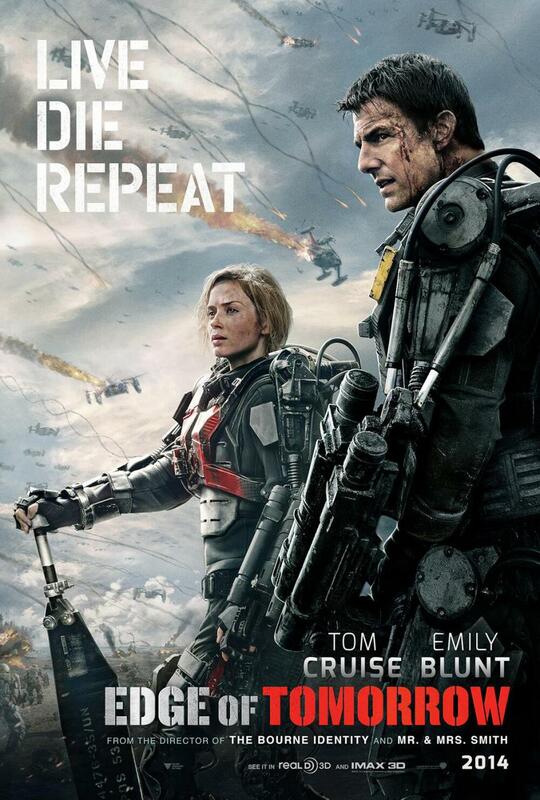 Edge of Tomorrow is the kind of summer blockbuster I live for. As much as I relish this superhero golden age, those films can never be as genuinely surprising as something that isn’t based on a decades old corporate icon. While Edge of Tomorrow is based on a light novel, All You Need Is Kill, it isn’t saddled with the history and corporate stakes of Spider-Man or Wolverine. It’s just trying to be a fun, entertaining film, and it succeeds on all measures. The setup is that at some point in the near future, aliens called Mimics have conquered most of Western Europe, roughly analogous to the territories controlled by the Nazis in World War II. On the eve of our invasion of Normandy, Major William Cage (Tom Cruise), a military press liaison, is told to be on the front lines with a camera crew. After refusing, he finds himself sent into combat with no training. On the beach, he meets Rita (Emily Blunt), the so-called Angel of Verdun. From there, the film introduces its time travel mechanic. Every time Major Cage dies, he wakes up at the beginning of the day. He finds out that Rita had a similar power, and the two work together to try and save humanity, even if it means “dying” over and over. This mechanic is a big part of what makes Edge of Tomorrow so much fun. While some will liken it to Source Code or Groundhog Day, that’s really doing this film a disservice. 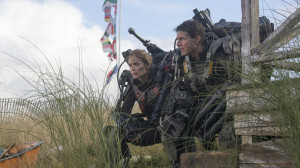 While the reset is a fundamental aspect of the film, Edge of Tomorrow is more concerned with Cage’s journey from coward to hero and then placing him in a series of no-win scenarios. What really makes this film stand out, however, is that this ability essentially makes Cage a video game protagonist. Like a Call of Duty soldier or the main character in Dark Souls, Cage largely survives each day by learning patterns and applying them in his next life. It’s a smart conceit, and because Cage can remember each “life” we see the toll that this begins to take on him. The film is also bolstered by enthusiastic performances by its leads. I’ve become a Cruise apologist in recent years, as I don’t believe the man has ever half-assed a performance. Cage’s personality is something I don’t think we’ve seen from him before, and it helps it stand out in his filmography. But this is truly Emily Blunt’s film. I never would have imagined the star of The Five Year Engagement to make the grizzled, tired veteran seem like an effortless performance. Easily the best performance in a blockbuster film so far this year. Given the stakes and the relatively dark premise, it may be surprising how much humor director Doug Liman and the credited screenwriters inject into the film. It’s genuinely funny, and keeping the tone light makes the film pure joy to watch, even in its darkest moments. 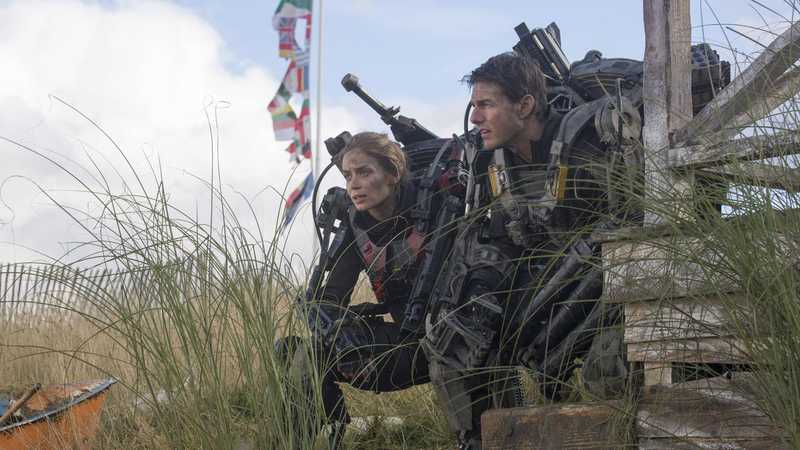 Edge of Tomorrow feels like a rare treat, a film entertaining on all fronts that doesn’t get tripped up by trying to be too clever. It’s a must see.